We always love a surprise in our picture books, and the surprise in "When I was a Child" by Andy Stanton and David Litchfield stems from our expectation that Andy is great at putting together rib-tickling stuff like "Mr Gum" and who could forget "All aboard the Poo Bus". But who knew he could also tweak at our heartstrings with a truly fabulous celebration of Grandmother / grand-daughter relationships that reminded us of C's own bond with her own grandmums. This heartwarming story is told from the grandma's perspective as she tells her granddaughter stories about what life was like when she was little. With utterly glorious illustrations by that uber-talented fella David Litchfield, this one's perfect for grandparents who love nothing better than curling up on the sofa with their grand-kids or great-grandkids to reminisce about their childhood, or just to tell a few tall stories. Sum this book up in a sentence: Heartwarming and beautiful storytelling complimented by truly gorgeous illustrations, this one has "Win" written all over it! 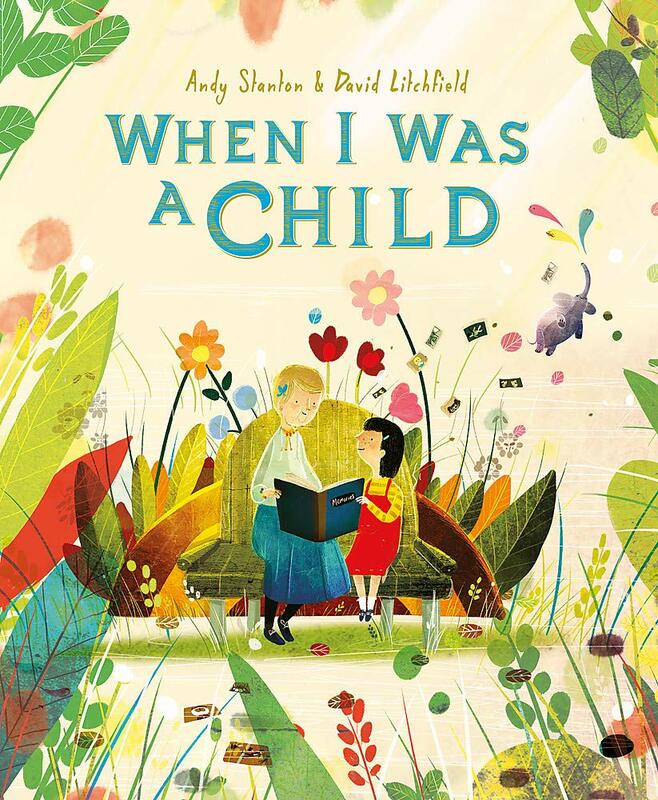 "When I was a Child" by Andy Stanton and David Litchfield is out now, published by Hodder Children's Books.